(Left to right) Dr Gavin Tunnard, Dawn Duncan lead occupational therapist for Moray, and Emma Mcdonald senior occupational therapist. 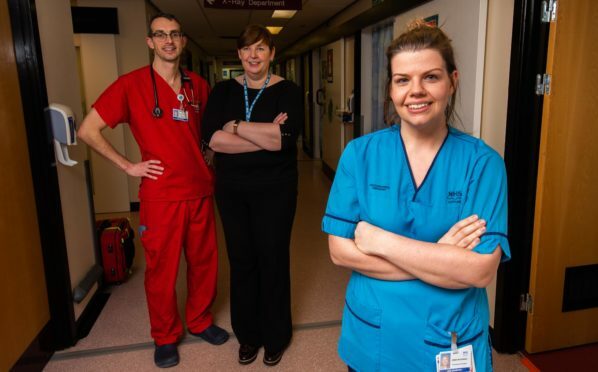 An innovative project at a Moray hospital has helped to improve the effectiveness of the accident and emergency department by cutting down on unnecessary admissions and saving more than £1.7million. 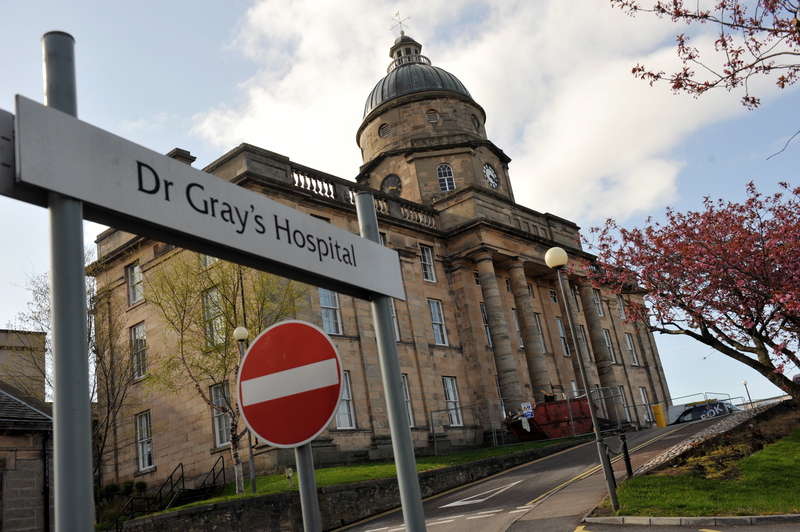 Dr Gray’s Hospital in Elgin has trialed a temporary scheme for the last two years of dedicating occupational therapy time as a means of supporting the patient flow. Now, after the project was heralded a success, they have received funding to employ a full time member of staff to help improve the timeliness and quality of patient care from arrival to discharge from hospital. Dawn Duncan, lead occupational therapist in Moray, believes the service has become very important to how the hospital operates. She said: “It has been very successful over the last two years as we were able to show that a third of the patients who were referred to us through the emergency department were discharged directly home rather than being admitted inappropriately to hospital. Initially, the Scottish Government funded the role for two years through block grants of £45,000, but after compiling all the positive data and delivering a case to the Moray Health and Social Care Board, they have received money to install a permanent Occupational Therapist in the emergency department. Between November 2016 and November 2018, 1203 new referrals were made to the OT department and 142 of them were in the emergency department out of hours and were referred for a follow-up telephone assessment. The project also helped the hospital make a £1,750,185 cost saving. Emma McDonald is the senior occupational therapist who will be working in the emergency department full time from next month. She said: “The role has made a major impact, we are picking up people who might have been admitted to hospital and we wouldn’t get to see them for a few days. “That could have massive implications as a day spent in bed would make it harder to get up on your feet. Managers at Dr Gray’s Hospital are battling to improve services at the hospital with a year full of innovations and restructuring initiatives. Services were temporarily downgraded at the maternity ward from consultant-led to midwifery-led last year due to staff shortages. The move led to women with medium and high risk pregnancies being forced to travel to either Aberdeen or Inverness hospitals to give birth. But medical teams are now planning for a brighter future for Moray’s largest hospital. The historic site is celebrating it’s 200th anniversary this year and it’s hoped the recruitment of a full-time occupational therapist will improve the service at the emergency department. It comes on the back of the employment of the first advanced pharmacist practitioner (APP) for NHS Grampian appointed at Dr Gray’s Hospital – believed to be a first for Scotland. The new role, which encourages staff to meet patients and discuss their medication, is aimed at providing support to junior doctors during their time at the Elgin hospital. New advanced nurse practitioners will also be taking up jobs at the hospital, after training for a year to enable them to take on a bigger role. NHS Grampian announced this week that the maternity and child care services were hoped to be back up and running at the end of the year.